Doc, I love a motorcycle! it's bikes like this that make me re-think restorations...i'm a custom kinda guy. this bike is drop dead gorgeous. Good thing you won the race DH, there's a lot of cleaning to do after a ride in the rain. 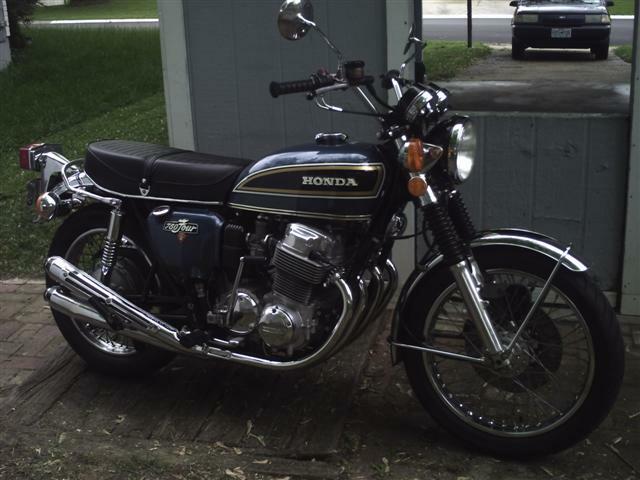 I loved my 750. that provided me with a ton of Memories. Last time I tried to race the rain home, I got a $100 ticket (doing a mere 45 mph in a 35 mph zone). All I want to do is ride my bike and not get hassled by the man. Don't forget "when the music's over"
in that, I spent an uncanny amount of time and unknown amount of money restoring it.